In her class, Cristina embodies and shares a developed knowledge of David Zambrano’s Flying Low, which she acquired during years of practice since 2005, which culminated at the intensive course of 50 days in Costa Rica in 2010. The technique focuses on the dancers relationship with the floor by utilizing simple movement sequences and by practicing speed and the release of energy throughout the body in order to activate the centre. In Cristina’s practice, the dynamics of the class increase progressively using imagery: several states of consistency of the body and density of the space are explored. The material challenges each participant to discover the primary laws of physics: cohesion and expansion and therefore many basic exercises are deconstructed into a more explorative work to achieve the right individual state to develop further. During the class we constantly practice the principles rather than the exercises and everyone is challenged into disconnecting from the usual right & left or front & back idea. The proposed exercises change everyday, so no attachment needed! Cristina Planas Leitão - Porto, (PT), 1983. Holds a BA in Dance Performance from ArtEZ (NL, 2006). She has worked extensively with David Zambrano since 2005 as a student and in 2010 she got certified in both techniques which she is teaching internationally. From 2007 to 2012 she worked for choreographer Gabriella Maiorino and Dansmakers Amsterdam (NL). 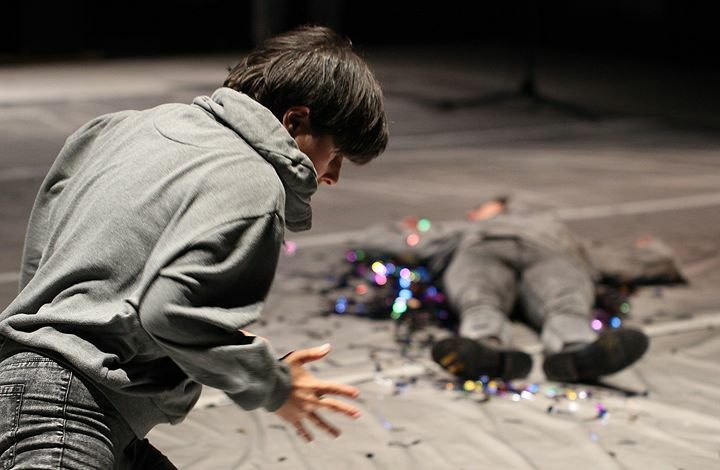 In 2013 Cristina has performed in the revival of Experience # 1, a piece by Isabelle Schad (DE) in Porto. In 2011/12 she is co-creator & performer of The very delicious piece with Jasmina Krizaj and in 2014 The Very Boring Piece. In the same year she also premiered bear me. In 2016 creates the piece FM [featuring mortuum]. As rehearsal director she has worked for Hofesh Shechter’s (2012-2014) and Gregory Maqoma’s (2015) creations for Companhia Instável. In 2015, she is one of the selected artists to participate in The Porto Sessions by Meg Stuart/ Damaged Goods and Mezzanine. She has performed in REIPOSTO REIMORTO by Catarina Miranda and is currently in the process of Marco da Silva Ferreira’s new piece Brother.